Imperial Restroom is one of the oldest, most experienced restroom trailer rental companies in Maryland providing the cheapest, most affordable pricing for high end mobile bathroom trailer rentals, portable shower trailer rentals and porta potty rental services throughout the great state of Maryland. For over 15 years, Imperial Restroooms has been at the forefront of the sanitation industry offering state-of-the-art mobile restroom/shower trailer rentals and porta potties for weddings, sporting events, races, baseball games, soccer tournaments, football games, 5k/obstacle races, parades, fairs, festivals, corporate outings and other large outdoor events which require high capacity restroom trailers/porta potty rentals for hundreds, thousands, tens of thousands to hundreds of thousands of people utilizing the lavatories. Imperial Restroom offers on-site staff to keep the restrooms clean and stocked for the entirety of the special event. Imperial Restroom offers the lowest prices for high quality mobile restroom trailer/shower trailer rentals in Baltimore, Maryland (MD): ADA Compliant, Wheelchair Accessible Restroom Trailer Rentals in Baltimore, Maryland (MD) | Mobile Bathroom/Shower Trailer Rentals in Baltimore, Maryland (MD) | Temporary Shower Trailer Rentals in Baltimore MD | Largest Bathroom Trailer Rentals in Baltimore MD | Baltimore Wedding Bathroom Trailer Rentals in Baltimore, Maryland (MD) | Baltimore Porta Potty Rentals in Baltimore MD | Frederick Restroom Trailer Rentals in Frederick, Maryland (MD) | Frederick Bathroom Trailer Rentals in Frederick MD | Frederick Mobile Shower Trailer Rentals in Frederick MD | Frederick Porta Potty Rentals in Frederick, Maryland | Rockville Bathroom/Shower Trailer Rentals in Rockville, Maryland (MD) | Rockville Mobile Restroom Trailer Rentals in Rockville MD | Rockville Wedding Restroom Trailer Rentals in Rockville MD | Rockville Porta Potty Rentals in Rockville MD | Gaithersburg Restroom/Shower Trailer Rentals in Gaithersburg, Maryland (MD) | Gaithersburg Bathroom Trailers and Shower Trailer Rentals in Gaithersburg MD | Gaithersburg Porta Potty Rentals in Gaithersburg MD | Bowie Restroom Trailer Rentals in Bowie, Maryland (MD) | Bowie Bathroom/Shower Trailer Rentals in Bowie MD | Bowie Porta Potty Rentals in Bowie MD | Hagerstown Restroom Trailer Rentals in Hagerstown MD | Hagerstown Bathroom/Shower Trailer Rentals in Hagerstown, Maryland (MD) | Annapolis Restroom/Shower Trailer Rentals in Annapolis MD | Annapolis Porta Potty Rentals in Annapolis MD | College Park Restroom Trailer Rentals in College Park, Maryland (MD) | College Park Shower Stall Trailer Rentals in College Park MD | Salisbury Restroom Trailer Rentals in Salisbury, Maryland (MD) | Salisbury Bathroom/Shower Trailer Rentals in Salisbury MD | Salisbury Porta Potty Rentals in Salisbury MD | Laurel Restroom Trailer Rentals in Laurel, Maryland (MD) | Laurel Porta Potty Rentals in Laurel MD | Greenbelt Restroom Trailer/Shower Trailer rentals in Greenbelt MD | Greenbelt Porta Potty Rentals in Greenbelt MD | Cumberland Restroom/Shower Trailer Rentals in Cumberland MD | Cumberland Porta Potty Rentals in Cumberland, Maryland (MD) | Westminster Bathroom Trailer Rentals in Westminster, Maryland (MD) | Westminster Porta Potty Rentals in Westminster MD | Westminster Restroom/Shower Trailer Rentals in Westminster MD | Hyattsville Restroom Trailer Rentals in Hyattsville, Maryland (MD) | Hyattsville Porta Potty Rentals in Hyattsville MD | Takoma Park Bathroom/Shower Trailer Rentals in Takoma Park, Maryland (MD) | Takoma Park Porta Potty Rentals in Takoma Park MD | Easton Restroom/Shower Trailer Rentals in Easton, Maryland (MD) | Easton Shower Trailers and Porta Potty Rentals in Easton MD | Elkton Restroom/Shower Trailer Rentals in Elkton, Maryland (MD) | Elkton Porta Potty Rentals in Elkton MD | Elkton Mobile Bathroom Trailer Rentals in Elkton MD | Aberdeen Restroom Trailer Rentals in Aberdeen MD | Aberdeen Shower Stall Trailer Rentals in Aberdeen MD | Porta Potty Rentals in Aberdeen MD | Havre de Grace Restroom Trailer Rentals in Havre de Grace, Maryland (MD) | Havre de Grace Shower Trailer Rentals in Havre de Grace MD | Cambridge Bathroom/Shower Trailer Rentasl in Cambridge, Maryland (MD) | Cambridge Restroom Trailer Rentals in Cambridge MD | Cambridge Porta Potty Rentasl in Cambridge MD | New Carrollton Restroom/Shower Trailer Rentasl in Carrollton MD | Bel Air Restroom/Shower Trailer Rentasl in Bel Air, Maryland (MD) | Bel Air Porta Potty Rentals in Bel Air MD | Mount Airy Bathroom/Shower Trailer Rentals in Mount Airy MD | Bladensburg Restroom/Shower Trailer Rentasl in Bladensburg MD | Frostburg Bathroom/Shower Trailer Retnasl in Frostburg, Maryland (MD) | Frostburg Porta Potty Rentasl in Frostburg MD | La Plata Restroom Trailers & Shower Trailer Rentals in La Plata, Maryland (MD) | Mount Rainier Bathroom/Shower Trailer Rentals in Mount Rainier MD | Imperial Restrooms offers the most elegant mobile restroom trailer rentals in Ocean City, Maryland (MD): Riverdale Park MD, Taneytown MD, Hampstead, Cheverly MD, Thurmont, Glenarden MD, Brunswick, District Heights MD, Walkersville, Chesapeake Beach MD, Chestertown, Poolesville, Manchester, Seat Pleasant, Berlin MD, Sykesville, Denton, Perryville, Capitol Heights MD, Centreville, Pocomoke City, Middetown MD, Indian Head, North East MD, Boonsboro, Princess Anne, Berwyn Heights MD, Brentwood, Delmar MD and a great many other cities and towns in Maryland. 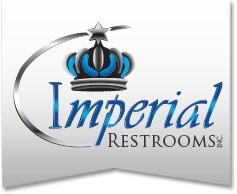 Imperial Restrooms offers online discount coupons for luxury restroom trailer rentals, mobile shower trailer rentals and porta potty rentals for large outdoor events as well as residential/commercial construction sites, kitchen/bathroom remodeling as well as commercial office building renovations. Maryland Wedding Restroom Trailer Rentals in Maryland | Best Bathroom/Shower Trailer Rentals in Maryland | Restroom/Porta Potty Rentals for football games, soccer tournaments, baseball games and other sporting events. | High Capacity Restroom Trailer Rentals and Porta Potty Rentals for obstacle course races and 5k races in Maryland | Bathroom Trailer Rentals For Military Operations and Training in Maryland | Porta Potty Rentals for Parade Routes | Porta Potty Rentals for town fairs and festivals. Emergency Restroom & Shower Trailer Rentals in Maryland. | Temporary Bathroom/Shower Trailer Rentals for Home Construction, Remodeling and Renovations when water and electricity are turned off | Temporary Restroom/Shower Trailer Rentals for Commercial Construction and Office Building Renovations/Remodeling in Maryland. 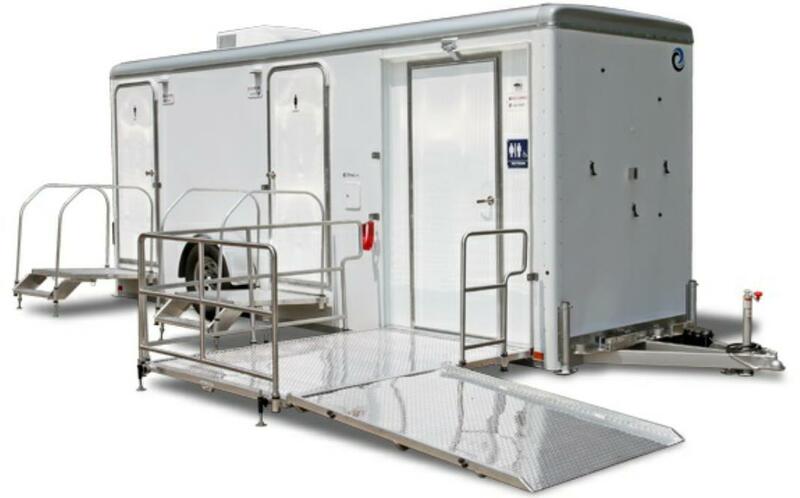 MD BATHROOM TRAILER RENTALS IN MARYLAND | ADA Compliant Wheelchair Accessible Bathroom Trailers in Maryland. Imperial Restrooms is one of the largest, most trusted restroom trailer rental companies in Maryland specializing in sanitary equipment rentals including portable bathroom trailer rentals, mobile shower stall trailers and porta potty rentals in the The Old Line State. A Luxury Restroom Trailer Rentals adds the comfort and convenience of home to any outdoor event where running water and electricity may be scarce. 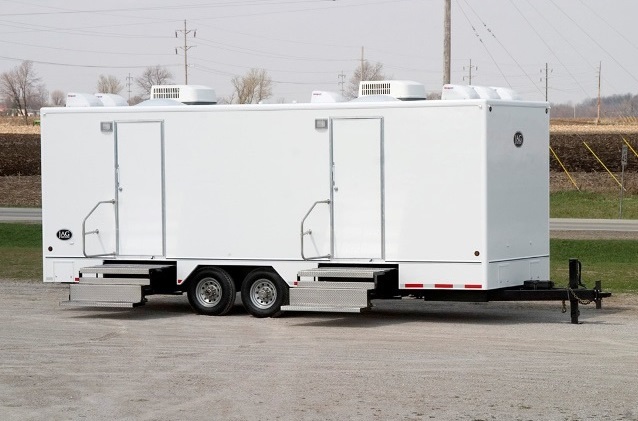 Imperial Restroom Trailers are perfect for weddings, concerts, sporting events, races, outdoor events, fairs, festivals and corporate outings throughout the state of Maryland. Imperial Restroom Inc has one of the most versatile fleets of high end luxury portable restroom trailer rentals, mobile bathroom/shower trailer rentals and a large stock of porta potty rentals for large outdoor events with a high capacity need for lavatories in areas where facilities may be inaccessble or non-existent. The Restroom Trailers are heated/air conditioned and have the ability to run from an electric generator in areas where electricity and running water are inaccessible. Call Now For Luxury Mobile Restroom Trailer Rentals in Maryland!